Q: What are Red Wigglers used for? Red Wigglers can be purchased for composting, adding to your landscape to increase soil quality, as a good protein food source for your pet, and for fishing. You may also purchase them to raise for continued use around your home for the nutrient-rich castings and leaché. Q: What are the 3 types of worm classifications and where do they live? Shallow Soil- or Mineral Soil-Dwellers: live in topsoil that is rich in organic matter, feeding on the mixture of soil and decomposing plant materials, primarily within the top 6 inches of soil; their tunnels are not permanent burrows. All 3 types of worms create cast that is rich with nutrients (N, P, K) and micro-organisms during its passage through the worm's digestive system. Q: What is the life cycle of a worm? A life cycle of a worm begins as an egg within a cocoon. This cocoon is smaller than a grain of rice and is lemon-shaped and yellow-colored with the babies emerging at about 4 weeks. Once hatched, they are called “Juveniles” and are no more than ½” in length but are already eating organic material. After about 40-60 days, the Juvenile develops into a “Mature” or “Adult” worm. Its clitellum has developed containing their reproductive organ and although worms are Hermaphrodites (contains both male and female reproductive organs), they still need another worm in order to mate and reproduce. Once complete in the process, both will excrete an egg and a new life cycle will begin. Worms do not have eyes. They are sensitive to bright light and will hide when exposed. Q: Where is the mouth and do they have teeth? The mouth is located in the first anterior segment with a small protruding lip called prostomium. The lip is used for sensing food. Worms do not have teeth; their food is ground by muscle action in their gizzard. Q: How do worms grind their food? Micro-organisms will soften food materials before worms try to eat it because they can only fit small particles in their mouths. European Night Crawlers and Red Wiggler Worms are both composting worms which mean they have a muscular gizzard. Their food is mixed with materials like sand, limestone, or soil which aid in the grinding. As the gizzard muscles contract, it grinds the food material into smaller pieces as it mixes with the worms fluids. Q: How long do worms live? All worms live for different amounts of time due to their environment. Most worms that live in the wild, live and die within the same year due to uncontrolled environmental events such as prey, dryness, and too hot or too cold of temperatures. Eisenia fetida (Red Wigglers Worms) can live as long as four years in a controlled environment. Eisena hortensis (European Night Crawler) can live as long as two years in a controlled environment. Q: Do worms die in the worm bin? Unfortunately, it’s part of nature’s cycle and yes they will die in the worm bin. It’s hard to find them because they decompose so quickly with their bodies being comprised of up to 90% water. If you do find dead worms, the cause needs to be determined and corrected (too hot, too wet, too acidic, wrong peat moss). Sometimes replacing the bedding will solve the problem. Please see our Worm Care section for tips. Q. How will I know if my worms are reproducing? Red worm eggs look like tiny straw-colored lemons. Baby worms look just like adult red worms, but lack a strong red color, and of course, are very small. Q: Do worms need air? Yes, worms need oxygen to live; they are a living creature. The air, or oxygen, diffuses across the moist tissue of their skin from the outside of the worm to the inside. Carbon dioxide produced by the bodily process of the worm work in reverse, it moves from the inside of the worm to the outside. A constant supply of fresh air throughout the bedding is needed. Q: Will a worm grow back together after it has been cut in two? Depending on where the cut takes place. If it takes place at the posterior end (back portion), sometimes a second tail will grow in next to the damaged tail; but it cannot grow a new anterior (head portion). Q. What happens to my worms in the winter? When it gets colder, the speed of your worms (movement, feeding, and reproduction) will depend on where they are being housed (shed, garden, garage, house, etc.) Worms do not digest as much food waste in the cold; be sure to monitor the amount you feed and the length of time for them to eat as to not cause a composting situation due to uneaten food in the worm bin. This time frame is typically from the months of November to February depending on where you live. Q. What is the difference between the various types of worms? There are many different types of worms. The six that you see the most about are: Red Worms, European Night Crawlers, African Night Crawlers, Alabama Jumpers, Canadian Night Crawlers and the Earthworm. Red Worms: They are the ultimate composting worm due to the amount of organic material they process, the speed in which they compost and the reproduction rate being the quickest of all worms. They are also very tolerant of many living conditions; and are excellent at aerating and mixing the soil. Red "Wiggler" Worms are very active in sunlight and are smaller in size which makes them great for fishing. They are also known as Red Wigglers, Tiger Worms, Blood Worms and Manure Worms. European Nightcrawlers: They are good composters and also tolerant of most conditions; but they are a bit larger than the Red Worm which makes them a good bait worm. Africian Nightcrawlers: They do composting but tend to be sensitive to their living environments and with one small change, will vacate the area (or bin). They are not tolerant of the cold winter conditions, preferring the warmer climates (warmer than 50 F). Alabama Jumpers: They are not good at composting nor living in a bin; these like to live wild and free in your yard and/or garden. They are better at aerating your soil and make excellent bait being probably the most active worm when touched. These are more common in the southern part of the United States. Canadian Night Crawlers: This is the most common bait worm. They are very large in size with most people cutting them in half to fit a fishing hook. They are not good composters and do better also living wild and free in your yard and/or garden, aerating the soil. These are more common in the northern part of the United Sates. Earthworms: They do not compost and do not live in worm bins; they are burrowers typically living below the top 3 inches of soil. They are excellent soil aerators and make awesome fishing bait. Q: What will my worms eat? Anything organic minus meat, dairy and oils. Think about what is available for them in nature and use that as a guide – leaves, grass, fruit (except citrus) and vegetables (except acidic), horse or cow manure, etc. 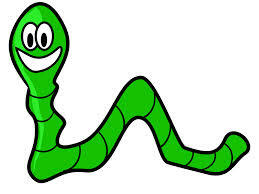 They are composting worms, food waste that you add to your compost pile is food material for composting worms. Adding crushed egg shells can help stimulate worm reproduction. Q: We are going on vacation, how do I feed my worms while I'm gone? There are a couple of ways to approach this. 1) You can overfeed your worms before you leave meaning piling excess food material in the worm bin; 2) You can provide the normal amount of food you know your worms will consume and then add to it the Worm Chow supplement. The Worm Chow adds the extra food material (along with a boost of nutrients) without adding the possibilities of mold and a bad odor. Q: What kind of bedding should I use in my worm bin? Coconut coir, peat moss (no cedar bark chips), aged manure, shredded paper and shredded cardboard all make for great bedding. Q: My worms are crawling out of the bin? When the worms are first added to the bin, they do not know where they need to stay. Place a bright light over the bin which will direct them downward; once they have settled into their new home, the light can be removed (on average 4 days). If the worms continue to want to escape, there may be a problem with how the bin is set up and the problem will need to be determined and corrected (too wet, too dry, too acidic, not enough food, etc.) Please see our Worm Care section for tips. Q. What is growing in my worm bin? Occasionally molds, fungi, and/or sprouts will grow in your worm bin which is part of the natural composting cycle; they help to break down the food material present. These are also eaten by the worms. Q. What are the other organisms living in my worm bin? The most common composting partners are white worms, springtails and millipedes. They will not hurt your worms. There is a chance that centipedes may join the bin and they will be a threat to your worms. As you see them, remove them; if you notice a lot of them, you will need to change out your bedding. Centipedes have one pair of legs per segment; millipedes have two. Q: What are the top two common problems with worm bins (and solutions)? 1) Too much water: can cause the worm bin to smell due to the buildup of bacteria. Remove any standing water and mix in new, dry bedding to absorb the excess moisture, mixing in with existing bedding. Monitor the amount of water used, bedding should be moist when grasp in hand but not dripping. Check your air holes and your drain holes to be sure they are not blocked. 2) Too much food: rotting food can cause a smell in the worm bin which is caused by the worms not keeping up with the amount of food being provided. Remove excess food and let the worms get caught up; adding food only when all previously provided food is not visible. Always be sure to cover the worm food with at least one inch of bedding. Q: Where do I find ‘directions for use’ for the SoilBoost (Worm Castings)? Directions on how to apply SoilBoost (Worm Castings) are located on the Shop page for SoilBoost. Q: What can I do with the worm castings from my worm bin? The worm castings are nutrient-rich worm composted material that can be added to any soil to give the plant (any plant) a natural boost in nutrients for plant growth. It can be mixed into the ground or into a potted plant situation. Q: Where do I find ‘directions for use’ for the Liquid SoilBoost (brewed Worm Tea)? Directions on how to apply Liquid SoilBoost (our brewed Worm Tea) are located on the Shop page for Liquid SoilBoost. Vermicomposting involves the breakdown of organic wastes via the joint action of composting worms and microorganisms. Vermiculture is the raising and production of composting worms and their by-products for use and sale. Q. Will regular earthworms work for composting? No, regular earthworms will not work for composting; they will die if added to an indoor worm bin. Composting worms, Red Worms or European Night Crawlers, are specialized surface dwellers (not burrowers), typically living in very rich organic matter such as manure, compost piles or leaf litter. Q. Do you have some good composting guidelines? Yes, there are some really good basic instruction of how to compost at the website Composting 101. Once the basics are understood, it's very easy to adapt worms to your system and increase your composting time by 1/2! Q: Do you guarantee live delivery? Yes, we guarantee live delivery. Please review the shipping policy for guidelines. Q: When will my worm order be shipped? All worm orders are shipped out on Monday via USPS Priority Mail. Please review the shipping policy. 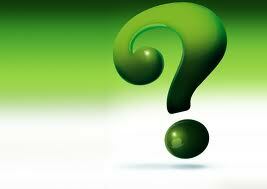 Q: Do you offer discounts for bulk orders, vendors or wholesale? Yes! Please contact us or call 509-928-3995 direct for a quote. Be sure to include the quantity of Red Wigglers, SoilBoost, and Liquid SoilBoost you are interested in, along with your shipping location. Check out our Bulk Products page for additional information!